News and Events – ASHLAR LODGE, No.3, A.F.& A.M. The next meeting date of the Ashlar Temple Association will be held at Ashlar Masonic Temple in the near future. The date will be announced. 3 April 2019 – Regular Meeting of Ashlar Lodge No. 3, 7:30 p.m.
6 March 2019 – Regular Meeting of Ashlar Lodge No. 3, 7:30 p.m.
R.W.B. 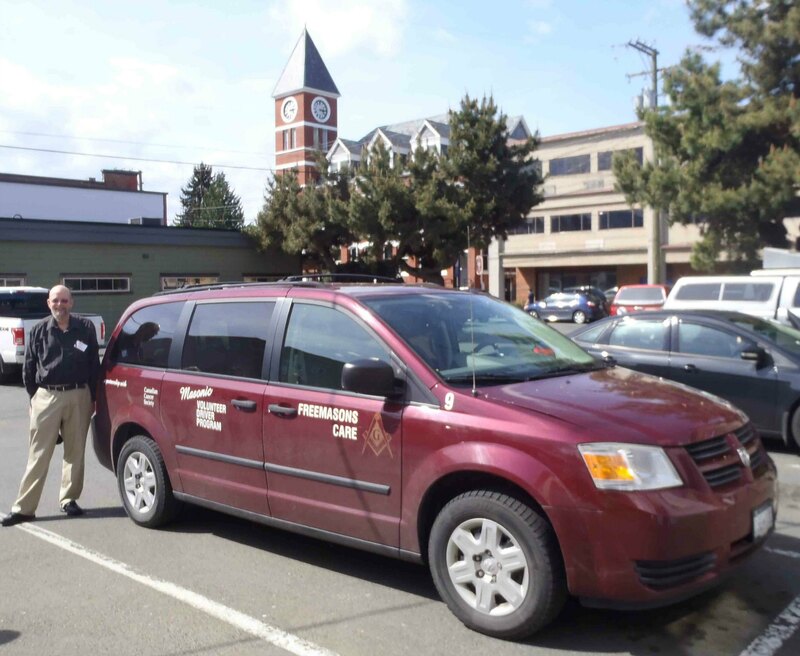 Doug Sowden, the Vancouver Island Coordinator of the Freemasons Cancer Car Program, is pleased to announce that a Cancer Car vehicle is now stationed in Duncan, making Duncan a new Vancouver Island hub point in the Freemasons Cancer Car Program. See Freemasons Cancer Car Program – Cowichan Valley for more details. Doug Sowden, the Coordinator of the Freemasons Cancer Car Program on Vancouver Island, with the Cancer Car vehicle now stationed in Duncan.